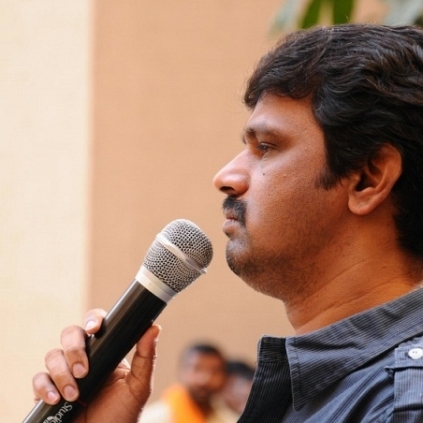 Cheran can't cast his voice in the Nadigar Sangam Elections to be held tomorrow? ELECTION FALLOUTS - JK RITHESH'S FOLLOWERS IN HUNT OF CHERAN. WANT HIM TO APOLOGIZE. At a recently conducted Nadigar Sangam press meet, Director Cheran, who is in support of Team Sarathkumar, made a remark on politician turned actor JK Rithish, stating that he could act solely because he had money and he shouldn't degrade Radha Ravi's family. He also criticized about the individual's acting skill and added that an individual has to act properly in at least 10 films to actually be part of the Nadigar Sangam. C2H Network Founded By Mr. Cheran! People looking for online information on Cheran, JK Rithesh, Nadigar Sangam Election will find this news story useful.